Is the UK’s National Institute for Health Research Health Services and Delivery Programme a model for health services research funding that could be applied in Australia? Better support for health services research and health economics research in Australia is a key objective of both HSRAANZ and AHES. On 6 November the Presidents of the HSRAANZ and AHES accompanied Professor Judith Smith, Director of the Health Services Management Centre, University of Birmingham, UK and Vice-Chair, National Institute of Health Research Panel for commissioned Health Services and Delivery Research, to a special round table event at the Department of Health in Canberra. The event considered insights from the UK’s National Institute of Health Research (NIHR) Health Services and Delivery Research (HS&RD) programme that funds a mix of commissioned and researcher led research into the quality, access, and organisation of health and care services. Congratulations to Associate Professor Rachael Morton, HSRAANZ Executive Committee member and health economist at the NHMRC Clinical Trials Centre who has received a prestigious NHMRC Translating Research Into Practice (TRIP) Fellowship. The Association has been asked to circulate the attached invitation to participate in a survey rating the importance of 72 potential Health Economics Analysis Plan (HEAP) items for randomised controlled trials. HSRAANZ Webinar – What role does performance information play in securing improvement in healthcare? A conceptual framework for levers of change. Across healthcare systems, there is consensus about the need for independent and impartial assessment of performance. There is less agreement about how the measurement and reporting of performance actually improves healthcare. This webinar will discuss a recently published paper that introduces a conceptual framework that describes ways in which change can be leveraged by healthcare performance information (Levesque and Sutherland, 2017). Erin Penno winner of the HSRAANZ Best Paper by an emerging researcher discusses her paper recently published in Health Policy, which sought to determine the amount spent on external consultancies across each of New Zealand’s 20 District Health Boards as well as the details of processes in place to ensure value for money. Improving patient flow and satisfaction: An evidence-based pre-admission clinic and transfer of care pathway for elective surgery patients. Jing Jing He, winner of the HSRAANZ 2017 Best Paper Award, discusses her paper which describes the redesign, implementation and impact of an evidence-based Pre-Admission Clinic (PAC) and a transfer of care pathway. Findings from this study have potential positive implications for perioperative practice. The hospital interviews indicated the lack of evaluation processes in place to measure the effectiveness of PAC services. The algorithms are applicable for elective surgery patients, and can be potentially implemented in private and public hospitals to facilitate the standardisation of care. Priya Martin winner of the HSRAANZ Best Paper by a PhD Student talks about her research which investigated the factors that contribute to CS in allied health, with a particular emphasis on rural and remote supervision. “Storify” social media highlights from each day of our 10th Health Services and Policy Research Conference. Thanks to Professor Judith Smith’s team at the Health Service Management Centre, University of Birmingham for pulling together these “Storify” social media highlights from each day of our 10th Health Services and Policy Research Conference. They provide a great snapshot of the plenary and keynote sessions. The 2017 Emerald/EFMD Outstanding Doctoral Research Awards in the Health care management category are now open. Award-winning entries will receive a cash prize of €1,000 (or currency equivalent), a certificate and a winners’ logo to attach to correspondence. The Three Minute Thesis Competition was one of the highlights of the 10th Health Services and Policy Research Conference. Entrants had 3 minutes to present their work with the assistance of a single power point slide. Congratulations to our judges’ choice winner, Tara Officer and our people’s choice winner Kristin Edwards. Judith is a widely published health services researcher and policy analyst, with an interest in how to bridge the worlds of research, management and practice. She took up post as Professor of Health Policy and Management at the University of Birmingham in 2015. This followed six years spent as Director of Policy at the Nuffield Trust, an independent charitable research foundation in London. From 2007 to 2009, Judith was based in New Zealand as a Visiting Senior Research Fellow at the Victoria University of Wellington and working as an advisor to the New Zealand Ministry of Health. 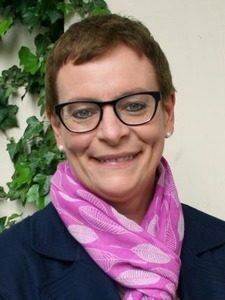 Judith is a Non-Executive Director of the Birmingham Women and Children’s Hospital NHS Foundation Trust, Honorary Professor at the London School of Hygiene and Tropical Medicine, Adjunct Professor at Victoria University of Wellington, and a member of the board of Health Services Research UK. From 2010-2013, Judith was expert advisor on health organisation and commissioning and policy assessor to the Public Inquiry into Mid-Staffordshire NHS Foundation Trust.